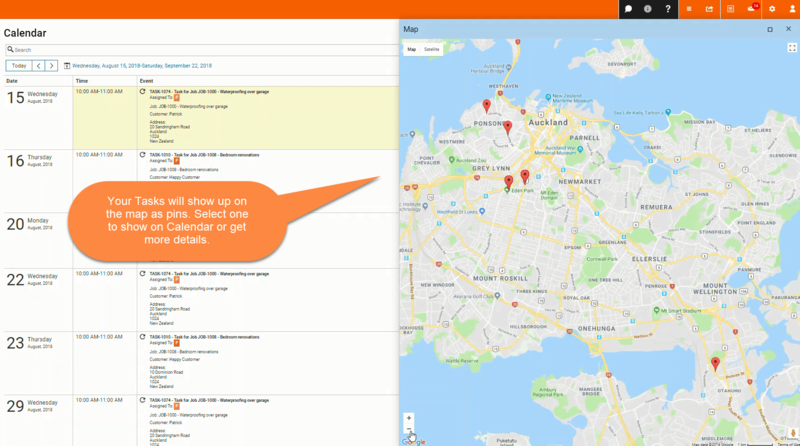 Calendar Map view - Desktop – Welcome to the NextMinute support and feedback centre. 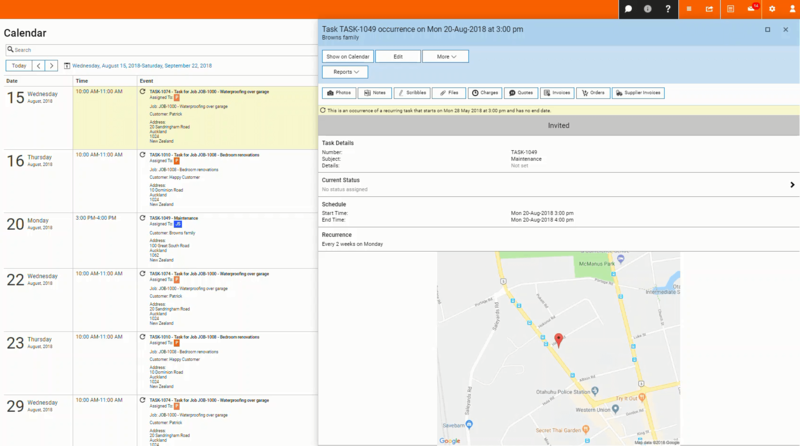 You can also view your tasks on a map, which will help when scheduling work out to your staff and logging Jobs for customers. Selecting the map view will bring up a map with your tasks showing as pins/indicators, as shown below. You are able to move the map box around the calendar, maximise & minimise and close. Selecting a pin will bring up the task ticket on the map as shown below. Select the task on the Calendar to bring up its details. 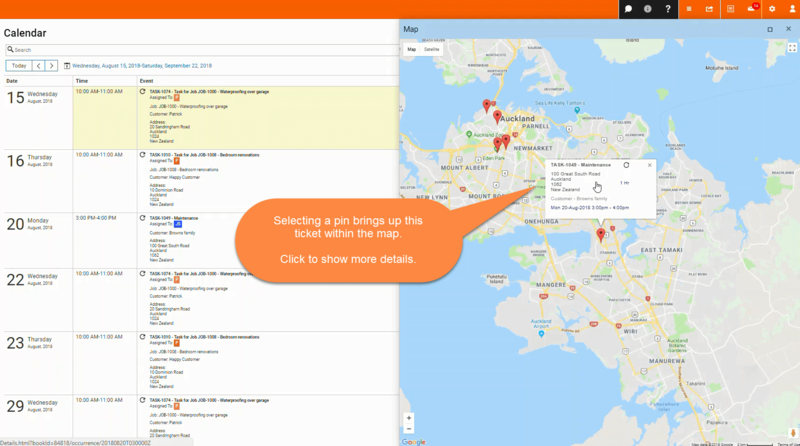 Selecting the task ticket on the map will bring up the Task form, as shown below. From here you can edit or delete the task. Maximise the Map to view a larger area, as shown below.